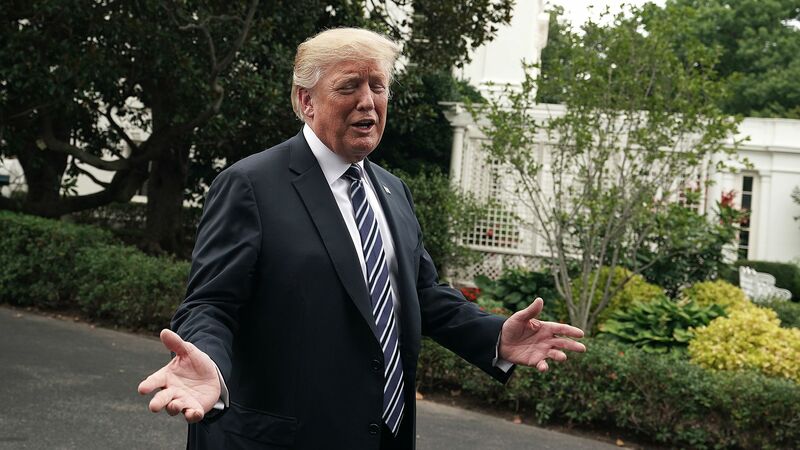 President Trump unleashed a series of tweets Friday morning, accusing his former lawyer Michael Cohen of lying "in order to get himself out of an unrelated jam" and denying that he had any knowledge of Don Jr’s 2016 meeting with a Russian lawyer. "I did NOT know of the meeting with my son, Don jr. Sounds to me like someone is trying to make up stories in order to get himself out of an unrelated jam (Taxi cabs maybe?). He even retained Bill and Crooked Hillary’s lawyer. Gee, I wonder if they helped him make the choice!" Trump also slammed Special Counsel Robert Mueller's "Witch Hunt" in response to a New York Times report that Mueller wants to question the Trump about his tweets as part of his ongoing investigation into potential collusion and obstruction of Justice. According to the Times, Mueller's looking specifically at tweets regarding Attorney General Jeff Sessions and former FBI Director James Comey.